Newgen Software Technologies is Delhi-based Software Product Company. Newgen offers product and platform that enables organizations to rapidly develop powerful software applications. Company mainly offers products in ECM and BPM space. Company sells its products through direct sales and through its 300 strong channel partners globally. Newgen Software has four patents registered in India and 27 outstanding patent applications in India and one outstanding patent application in the USA. 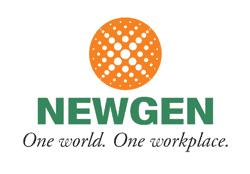 Newgen has over 450 active customers in over 60 countries. These customers are served by over 265 employees.